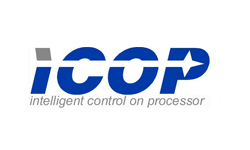 ICOP Technology, a member of DM&P Group, was started in 1989 as an industrial controller design house and manufacturer. Influenced by the explosive growth of the Industrial computer demand in early 1990, ICOP adopted x86 SoC (System-on-Chip) technology and built their reputation on offering solid embedded SBC (Single Board Computer) for the applications where small footprint, low power consumption, wide temperature range and product longevity were concerned. With more than 25 years effort, ICOP offers today an extensive range of SBCs, Panel-PCs, Box-PCs, OEM/ODM and robotic related products. The company has manufacturing facilities in China & Taiwan and sales offices in major cities around the globe.